As a trip admin, you have the ability to access trip links to share with potential participants. To locate these links, please follow the instructions below. 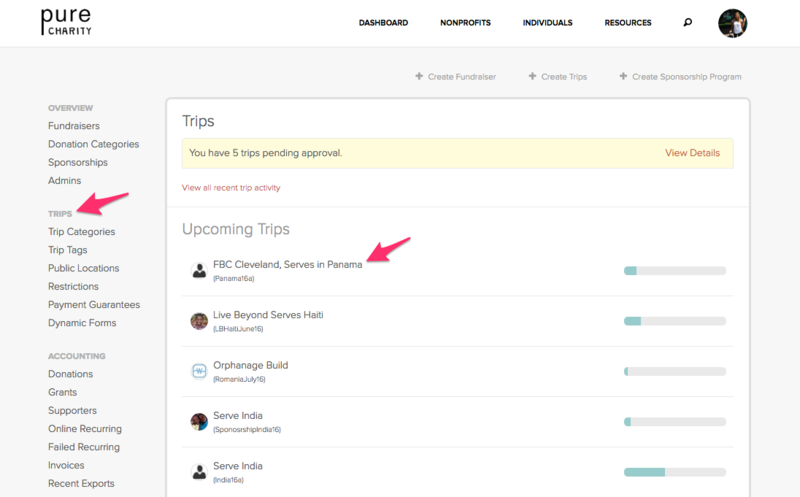 Step One: From your organizations dashboard, click Trips. Next, click your Trip Name. 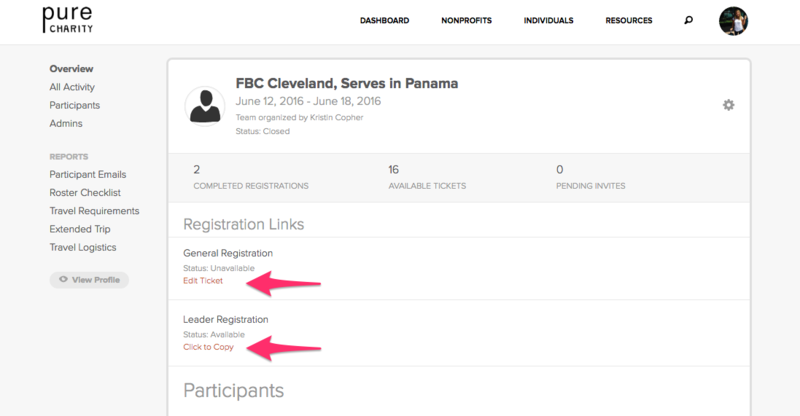 Step Two: Each registration link is located under Registration Links. Click Copy to copy and share the correct link.